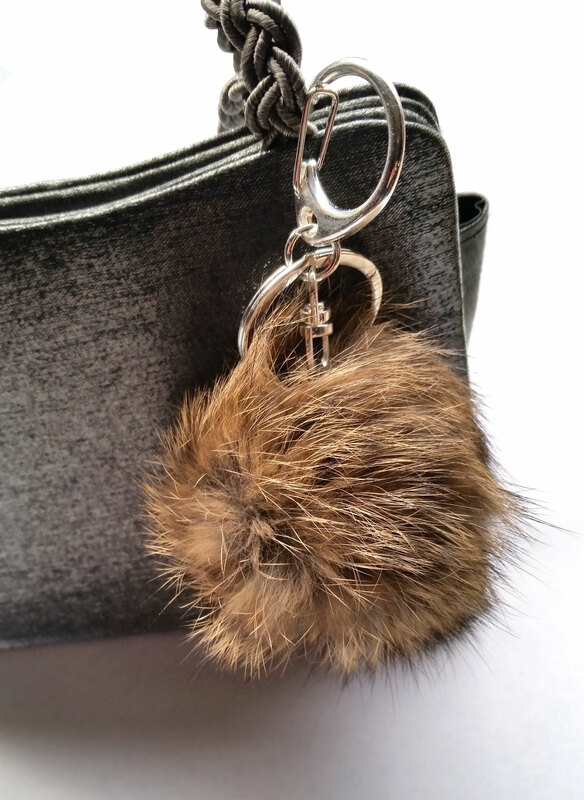 This 100% Real Rabbit Fur pom pom Keychain are very Nice and a great Gift! Soft Fluffy Pom Poms that come in beautiful natural colors combined with a strong lobster clasp can fit anywhere! Put on purses, backpacks even car Mirrors! Choose from two designs. Pom Pom is a nice full 7cm. size.